The Canadian Mental Health Association, Ontario (CMHA, Ontario) welcomes the opportunity to make a submission to the Ontario Human Rights Commission regarding its request for consultation on human rights and rental housing identified in the Commission’s consultation paper dated March 2007. 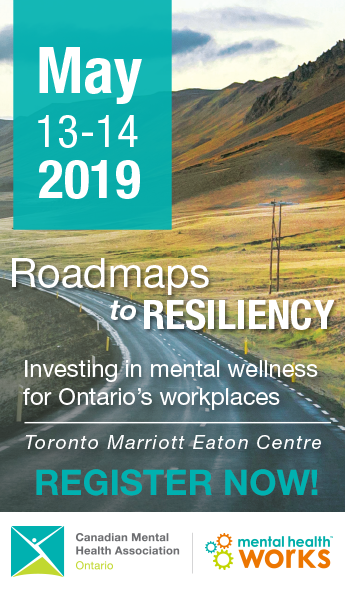 CMHA, Ontario is a non-profit provincial association, committed to improving services and support for individuals with mental illness and their families, and to the promotion of mental health in Ontario. We have 32 branches providing community mental health services throughout Ontario. Branches provide a variety of services including case management, supportive housing, assertive community treatment teams, court support programs and public education. Adequate housing is a basic requirement for the maintenance of health and plays a significant role in fostering mental well-being. Supportive housing is the foundation of an effective community mental health system. Without good quality housing and appropriate support, successful community living and recovery are not possible. The challenges of poverty, stigma and discrimination that people with mental illness face directly impact their ability to access, find and keep housing. Despite improvements in Ontario’s economy and a modest level of rental development in a number of markets, there continues to be a serious housing affordability issue in Ontario. For the majority of people with serious mental illness, who rely on provincial income support, the private rental housing market is beyond their financial means. Research indicates that a stable and supported living environment is essential to maintaining the health and well-being of people with serious mental illness and is integral to their recovery process. Housing and supports can generate many positive results, including personal empowerment, involvement in the community, improved skills, improved health status and a decreased need for, and reliance on, emergency, support and treatment services. All CMHAs in Ontario have clients living in rental housing. Through partnerships with nonprofit housing providers, some CMHA branches provide rent-geared-to-income apartment units for individuals receiving mental health services. In addition, many of our branches provide supported housing services wherein residents live within the community and receive support services outside the residential complex. With the experience of our 32 community mental health service branches to draw from, CMHA, Ontario is putting forward our recommendations regarding the Ontario Human Rights Commission Background Paper and Consultation Paper on human rights issues and rental housing. 1. What can the Commission do to raise public awareness about human rights issues in rental housing and to more effectively combat discrimination in this area? It is not surprising that discriminatory practices occur in rental housing, as the majority of the general public lack a thorough understanding of their human rights and in particular their housing rights. Thus, the Commission should increase its public education capacity to inform tenants, landlords and administrators about human rights violations specific to rental housing. Discrimination in rental housing continues to exist because the public, landlords, tenants and administrators are unfamiliar with the Ontario Human Rights Code. In addition, the Commission should work with consumer/survivor initiatives to raise awareness of human rights and obligations in Ontario with respect to rental housing. Consumer/Survivor initiatives are community agencies run by and for people who have lived experience with the mental health system. They operate on the principles of recovery by providing self-help and peer support, and also operate businesses using the community economic development model. Furthermore, social housing developments are plagued by poor political support and political interference fuelling discrimination even more. For example, Ward Councilors often feel duty bound to oppose projects they believe are unpopular with their constituents. As such, projects are often defeated when they apply for planning approvals and the discriminatory practice of “not-in-my backyard” is reinforced. The Commission, therefore, should work with the various political parties to raise awareness about human rights issues in rental housing and educate the various parties about the importance and benefits of social housing in their communities. 2. What role do others have in this regard? There are many other organizations that can play a role in raising public awareness about human rights issues. These include the Ministry of Municipal Affairs and Housing, the Ministry of Health and Long-Term Care, and the Ministry of Community and Social Services. Furthermore, these organizations can play a role in educating the public about the benefits of affordable, supportive and transitional housing to combat discriminatory practices based solely on unjustified prejudices and fears about the people who live there. The Commission should also work with the Ministry of Health and Long-Term Care and the Local Health Integration Networks (LHINs) to raise awareness of human rights violations among those who are most vulnerable. 3. What can be done to promote better access to resolution of human rights issues in housing? One of the biggest barriers in resolving human rights issues in housing is not being aware of tenants’ rights to start with. Tenants and especially protected tenants (i.e., persons with mental illness, persons with physical disabilities, persons with intellectual disabilities, etc.) are often unaware that their rights have been violated. In the case where an individual recognizes a human rights abuse they are often confused and intimidated by the system and therefore, never file a complaint. Public education regarding the complaints process is needed. The Commission should have a stronger presence at the community level by creating more locally based offices. Ideally these offices would deliver workshops on human rights issues in housing to the local service providers and the general public. This would give service providers the knowledge needed to empower their clients to act on any human rights violations. In addition, by increasing the number of offices in local communities the Commission could play a more proactive role in problem solving and dispute resolution within the local community. 4. What can the Commission do to support the goal of adequate and affordable housing for persons who experience hardship, disadvantage or discrimination because of Code grounds? The Commission should work with the Ministry of Municipal Affairs and Housing (MMAH) to make adequate and affordable housing supply an urgent human rights issue. There are municipal policies already in place to ensure and promote the development of affordable housing projects for protected groups. For example, the Provincial Policy Statement already requires planning authorities to set minimum targets for housing that is affordable to low and moderate income households, and to permit and facilitate special needs housing. Under this policy, many municipalities already set their own housing policy strategies, but too often they are not honoured because of competing budget priorities. Therefore, CMHA, Ontario urges the Commission to affirm that the scarcity of affordable housing undermines the human rights of protected groups. Furthermore, the Commission should work with the MMAH to ensure that designated funds are available to municipalities in order to honor their housing strategies. In addition, the Commission should work with the MMAH to promote more affordable housing. Strategies may include increasing government funding for affordable housing and homelessness prevention, removing discriminatory provisions in municipal planning practices, developing mechanisms to filter illegitimate discriminatory NIMBY opposition, and addressing provisions in legislation or policy that create barriers in developing affordable housing. 5. There appear to be issues with regard to social housing and co-op housing that need further consideration from a human rights perspective. What do you think these issues are? The majority of housing co-ops require tenants to fully participate in the running of the co-op. This includes attending meetings, sitting on committees, cutting the grass, shoveling the snow, etc. Many tenants with physical or mental health issues are unable to meet the strict criteria and therefore are refused. As such, the person is denied affordable co-op housing because of their disability. 6. Are there examples of discrimination in the social housing or co-op housing contexts that the Commission could address? Prospective tenants of housing co-ops are often denied accommodation because of their disability, as they are unable to meet the specific criteria of the co-op. Thus, the Commission should address how persons with disabilities can have fair access to co-op housing that has criteria for participation. 7. What challenges do housing providers face that the Commission can assist with? Many housing providers and landlords have a poor understanding of mental illness. The Commission could play a role in educating landlords and housing providers about psychiatric illnesses, the range of disorders, and accessing the mental health system. More importantly, the Commission could play a pivotal role in educating landlords on the options available to adapt a unit/building for someone with a psychiatric disorder. For example, an adaptation to a building may include constructing a small office for mobile support staff to work out of (see question #17 for more detail). 8. What are the ways in which people experience discrimination in rental housing on the basis of each ground of the Code? Although, the Code specifically addresses discrimination against individuals with a mental illness, it does not provide or expand on the definition of a mental illness as a disability. Therefore, it is unclear as to whether the definition includes all diagnoses of mental illness (i.e., mild depression to schizophrenia). CMHA, Ontario welcomes the opportunity to help the Commission define mental illness in more specific terms and clarify any misunderstandings. Persons with mental illness often experience discrimination in rental housing. For instance, persons with mental illness are often denied housing because they have chosen to disclose their mental health status or are subject to strict regulations and rules, such as, having a co-signer in order to rent or pay a safety deposit in case of damage. These practices are discriminatory and not justified under the Code because they have a disability. 9. How does the intersection of Code grounds impact on discrimination in rental housing? Unfortunately, many landlords lack a thorough understanding of the Code grounds resulting in discrimination. Many living with a mental illness are often denied housing in the private market as a result of their psychiatric illness. Landlords often lack education about the Code grounds, and therefore are unaware that they are in violation of human rights. Clearly, the Commission can play a pivotal role in educating both landlords and tenants on the Code grounds specific to housing and accommodation. 10. What barriers do people face in securing rental housing? Some landlords require prospective tenants to provide a social insurance number (SIN) or a favourable Canadian Police Information Centre criminal check to screen-out applicants. For some individuals living with a mental illness, and especially, those who are homeless this presents a difficult barrier, as many no longer posses SIN numbers due to theft or loss. Landlords may also request employment verification to actively screen-out certain applicants, such as those receiving the Ontario Disability Support Program (ODSP) or the Canadian Pension Plan. Approximately, one-third of clients on ODSP have a primary diagnosis of mental illness. As such, many people living with mental illness are unable to secure rental housing and are forced to live on the streets or take sub-standard rental housing operated by “slum landlords” to avoid becoming homeless. 11. What discriminatory practices should the Commission be aware of? 12. What can be done to proactively prevent these barriers and practices? The Commission should partner with the Canadian Mortgage and Housing Corporation (CMHC) to educate landlords about theses issues and regulate criteria for advertisement of units and admission criteria. In addition, the Commission should partner with CMHC and local service providers to educate tenants about their rights and responsibilities. Furthermore, if more social housing and supportive housing units were honoured and developed, there would be a significant reduction in the number of individuals experiencing such discriminating practices in the private rental market. 13. What are the legitimate considerations in assessing prospective tenants? CMHA, Ontario understands the importance of applying a range of requirements to assess prospective tenants to avoid rent arrears. However, the requirements must be flexible and balanced in order to protect the human rights of tenants while at the same time protecting landlords from potential hardships. CMHA, Ontario strongly discourages against employment verification to assess prospective tenants. First, as mentioned above many landlords will screen out individuals receiving ODSP and CPP. Furthermore, many protected groups will make the personal choice to reside in an area where 70 to 80 percent of their income is used to pay rent and not the typical 20-30 percent rent-to-income ratio. This is often the case for lower income individuals who choose to reside in adequate and safe housing. Although, the Commission recognizes that rent-to-income ratios breach the Code, many landlords continue to apply them. CMHA, Ontario strongly suggests the omission of employment verification as a legitimate business practice to assess and select prospective tenants. A better practice would be to provide adequate documentation such as references and proof of other bill payments like rent and utilities to show that a prospective tenant is able to pay the rent. 14. Why are these reasonable and legitimate business practices? Adequate documentation such as references and proof of other bill payments are legitimate and reasonable screening practices as individuals are not penalized or discriminated against for receiving social assistance or earning a lower income and choosing to pay 70 to 80 percent of their income on rent. Individuals with severe and persistent mental illness are able to keep their housing and be responsible tenants with the proper supports in place and should not be penalized for earning a lower wage or being recipients of the Ontario Disability Support Program. 15. What considerations cannot be justified under the Code? Although, Section 21(3) does not allow for criminal background checks (which is conducted by the RCMP and includes information on record of criminal convictions for any Criminal Code or federal statute offences; and pending federal and/or provincial charges; etc.) we are aware that this practice is being applied across Ontario to screen out prospective tenants and is discriminatory. This consideration is not justified under the Code. Furthermore, we are also aware that many landlords in the private sector request social insurance numbers (SIN) to screen out prospective tenants. People with serious mental illnesses are disproportionately affected by homelessness. It is during these periods of homelessness that individuals will often lose or have their (SIN) cards stolen. In some cases it can take up to a year for an individual to acquire a new SIN card. Thus, unless a person is linked to an outreach worker to help them find social housing, they often remain homeless. 16. Bearing in mind the Commission’s role in promoting a progressive interpretation of the Code, what policy position should the Commission take with regard to O.Reg 290/98*** and other practices that are commonly used to select tenants? CMHA, Ontario recommends that the Commission omit O.Reg 290/98 and not allow for landlords to request income information from a prospective tenant. Although, O. Reg 290/98 sets out the condition that “income information can only be requested from a perspective tenant if the landlord also requests credit references, rental history, and credit checks, and to consider income information only together with all the other information that the landlord obtained” it is not being upheld. Considering the Commission is aware that landlords are continuing to misinterpret the regulation and deny prospective tenants housing based on rent-to-income ratios, it is strongly recommended that O.Reg 290/98 be omitted and that only justified business practices as mentioned in question 13 be applied in assessing prospective tenants. 17. What types of inclusive design and accommodation of Code-related needs are necessary to allow all tenants to access rental housing on an equal basis? People with mental illness often require very different accommodations than other groups protected by the Code. The majority of single individuals with mental illness prefer to live alone than with a roommate. However, there is a shortage of affordable bachelor and one bedroom apartments across the province. More single occupant units are needed. Many people with mental illness live in the community but require mobile supports. Mobile supports can take many forms depending upon the individuals’ symptoms and life skills. For example, a nurse may be required to administer an injection or medication, or a case manager may be required to assist with daily living skills. An accommodation required may include an office or small working space for the mobile supports to work out of. 18. What are some of the challenges in designing inclusively and accommodating all tenants and potential tenants? One of the main challenges regarding inclusive design and accommodation in the social housing sector is lack of funding. Social housing is governed by legislation and program rules that do not allow housing providers to meet extraordinary costs. CMHA, Ontario recommends that the duty to accommodate should not only apply to the private sector, but be extended to the regulatory framework that governs social housing. The Commission should work with the Ministry of Municipal Affairs and Housing, the Ministry of Health and Long-Term Care, as well as the Ministry of Community and Social Services to increase funding for social housing providers to accommodate the needs of their tenants. 19. Are there human rights issues in rental housing raised by municipal or provincial laws, policies and practices of which the Commission should be aware? Creating by-laws that limit or ban affordable housing developments in specific neighbourhoods. The limits might be on social housing, group homes, crisis care facilities, rooming houses, rental apartments or anywhere else a person on social assistance, or a person with a disability, might live. Distancing requirements between housing for people with disabilities, or caps on the number of group homes in a ward, neighbourhood or town. Zoning definitions based on the characteristics of the people who live there or bylaws that attempt to zone out certain groups altogether. Interim control by-laws or development moratoria on affordable or supportive housing. For example, municipalities may put a one-year hold on a group home development as a result of a complaint or a hold to study the land use implications of certain types of affordable or supportive housing. Requirements that affordable housing or publicly funded housing undergo more public consultations than other housing. 20. What steps, if any, do you think the government or others should be taking to address issues of discrimination related to socio-economic status, poverty and homelessness? Thus, CMHA, Ontario strongly suggests that the Commission work with the Ministry of Municipal Affairs and Housing to make the supply of affordable housing a human rights imperative. 21. What role can the Commission play in protecting and promoting social and economic rights and responding to homelessness? The Commission is in a position to play an active role in protecting and promoting social and economic rights and responding to homelessness by drawing attention to the various Acts, rules and bylaws that discriminate against the disadvantaged in accessing affordable housing. By shedding light on these discriminatory Acts, rules and bylaws the Commission has the ability to influence government and policy makers to address these barriers and remove them. Thus, the Commission will need to work with the Ministry of Municipal Affairs and Housing, the Ministry of Health and Long-term Care, and the Ministry of Community and Social Services to develop joint statements and actions to address barriers in accessing affordable housing. i. Yanos, P., Barrow, S. & Tsemberis, S. (2004). Community integration in the early phase of housing among homeless persons diagnosed with severe mental illness: successes and challenges. Community Mental Health Journal, 40(2): 133-150.
ii. Boydell, K. Gladstone, B., Crawford, E. & Trainor, J. (1999). Making do on the outside: Everyday life in the neighbourhoods of people with psychiatric disabilities. Psychiatric Rehabilitation Journal, 23(1): 11-18.
iv. K. Lasser, MD; J. W. Boyd, MD, PhD; S. Woolhandler, MD, MPH; D. U. Himmelstein, MD; D. McCormick, MD, MPH; D. H. Bor, MD (2000). Smoking and Mental Illness: A Population-Based Prevalence Study. The Journal of the American Medical Association. 29 (7).